Holy Apostles began as a parochial mission of Church of the Holy Communion in 1965. The original church was located in the Hickory Hill area of Memphis, where it enjoyed thirty-five years of ministry among the neighborhood there. 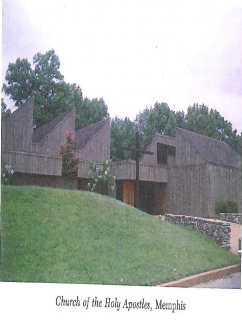 In June of 2003 the parish moved and began worshiping in the Agape Chapel on the campus of St. George’s Independent High School in north Collierville, the easternmost suburb of Memphis. The present Church of the Holy Apostles was completed in 2006 and Phase II, the multi-purpose Parish Life Center, was completed in 2008. 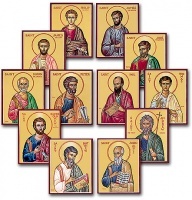 Church of the Holy Apostles is named for the twelve apostles of Jesus. 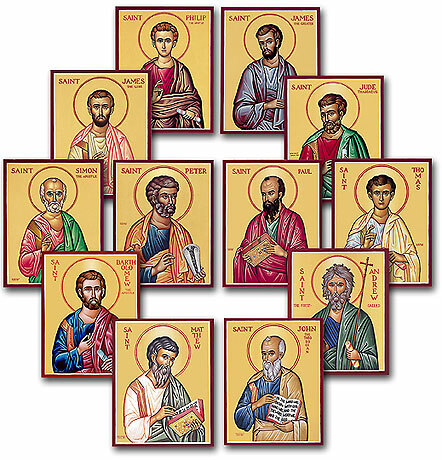 They are: Simon, who was called Peter; Andrew; James, the son of Zebedee; John, the Evangelist; Philip; Bartholomew; Thomas; Matthew, also called Levi; James, the son of Alphaeus; Jude, also called Thaddaeus; Simon, the Zealot; and, Matthias, who filled the place of Judas the traitor.